Face pulls just might be the single most underrated and underutilized lifting exercise out there. Although they’re considered a staple in powerlifting circles, it’s rare to see the average gym-goer performing face pulls as part of their workout, and even rarer to see them being performed properly. Face pulls are a multi-functional lift and serve as both an awesome muscle building exercise and as a highly effective movement for improving shoulder health and overall posture. They’re great for building up the rear delts, traps, rhomboids and rotator cuff muscles, and are one of the very best exercises for treating and preventing an extremely common problem that a very large percentage of serious lifters face: internal rotation of the shoulder joint. Otherwise known as “rounded shoulders” or “forward shoulder posture”, this problem typically results from an over-emphasis on pressing exercises for the chest and front delts in comparison to pulling exercises for the upper back and rear delts. 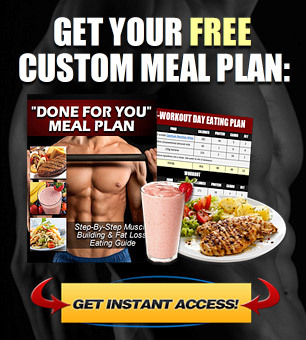 Even if you’re following what you think is a “balanced” weight training program, you’ll almost always end up providing a disproportionate amount of stimulation to your chest and front delts without even realizing it, even if it’s to a small degree. 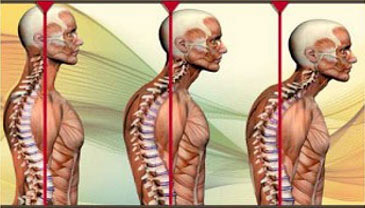 In combination with other postural issues that many of us face these days (such as sitting at a computer all day with our head and shoulders hunched forward), this gradually causes the shoulders to roll forward and out of optimal positioning. As a result, you end up with an unstable shoulder joint, which can easily lead to all kinds of issues from rotator cuff injuries to shoulder impingement to elbow problems. On top of this, it just doesn’t look good either. So, not only will performing face pulls on a consistent basis add muscle size and strength to your rear delts and upper back, but it will also help to externally rotate your shoulders and pull them back into the proper position for better posture and decreased injury risk. However, simply “going through the motions” is not enough here, and you need to make sure that you’re executing your face pulls with proper form and technique in order to get the very most out of the exercise. 1) Grab a rope attachment and set it at upper chest height. 2) Rather than gripping the rope from the top with your palms facing down like most people do, instead, grip it from underneath with a neutral hammer-style grip. Although both versions will still be effective, this variation allows for a larger range of motion, is generally more comfortable, and most importantly, it allows for maximum external rotation of your shoulders as you pull the rope backward. 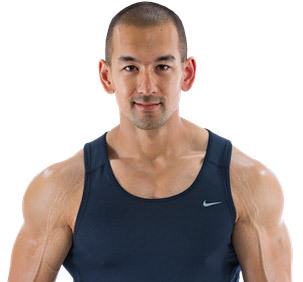 3) Keep your chest up, shoulders back and retract your shoulder blades. 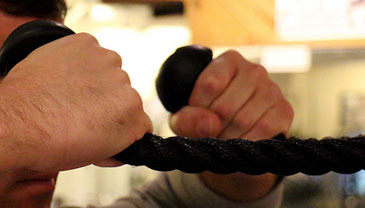 4) Pull the rope back towards your face while at the same time imagining that you’re trying to pull the rope apart. Think of it as though you were hitting a back double bicep pose on each rep, while making sure to keep your head stationary. 5) Pause momentarily in the fully contracted position and focus on squeezing your rear delts and upper back before returning to the starting position. The key to proper face pull form is control. If you simply load up a bunch of weight here and start explosively yanking the rope back using poor technique and a lot of momentum, not only are you going to greatly decrease the effectiveness of the exercise by involving your lower back, but you could very easily hurt your shoulders in the process as well. Keep the weights moderate and aim for 3-4 sets of 8-12 smooth, deliberate reps, with all of your focus on contracting your rear delts and upper back as intensely as you can. Face pulls can be performed 2-3 times per week and work well when added executed as part of a back workout or shoulder workout. 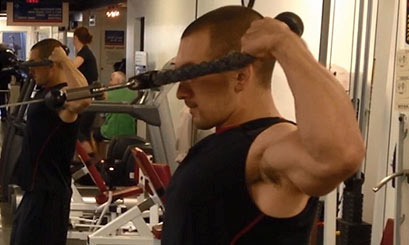 If you aren’t currently performing face pulls as part of your weekly routine, I’d strongly suggest getting started. 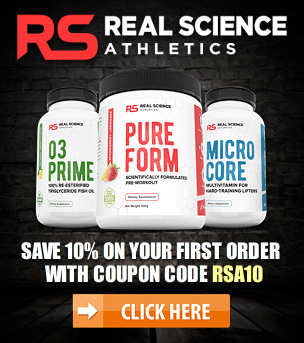 They’re an incredibly valuable exercise that deliver a wide array of muscle building, postural and injury prevention benefits, and every serious lifter should have these included in their arsenal.